Keiko Muto – I am not a magician, but a single act performer. I am not a magician, but a single act performer. Prior to 1990, Keiko Muto spent her life quite apart from magic. However when she entered the prestigious Nagoya University in Japan, her dormant talent for magic was awakened as she joined that university’s magic club. 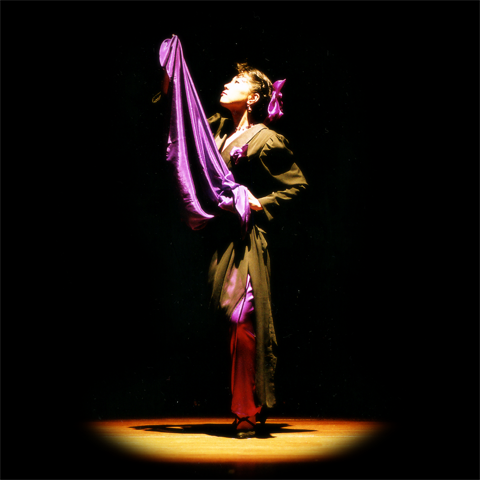 In 1995, Keiko created an original and cool Oriental-themed stage magic act, which featured fans, bells, and umbrellas. This act emphasized her advanced manipulation skills and unique style, and won raves from top-flight magicians in both Japan and abroad. Prominent trade journals, such as Genii, MAGIC, and Magische Welt ran highly complimentary articles about her. Keiko won the Gold medal and first place at the 2002 International Brotherhood of Magicians (authoritative association in Magic) stage competition in San Diego. She continues to appear overseas and in Japan, enrapturing audiences around the world with her splendid performances. Her wonderful talent extends beyond the world of magic. Keiko is also an active web developer and a professional handicraft artist. She creates beautiful and delicate feather flower props that are highly regarded by magicians worldwide. In addition she works as a translator, a writer, and a photographer. She balances her busy work schedule by regularly hiking mountains. Keiko Muto states, "Magic is my lifework". As she continues to evolve as an artist, the rest of us should continue to pay rapt attention. She is active in various fields other than magic performance. She produces several live performance shows of other performers. You can see plenty of Kame(=turtle) goods which are collected at her place. She runs online shop of feather flowers which is used in magic performances. She is very good at making handicrafts, which are made of small pieces of fabric. She also make origami crafts and sometimes holds a workshop. She works in the field of web development. She is mainly working as a markup engineer, and also produces some digital contents. Masterpieces of Monochrome photographs which have been taken by her since she was a high school student. Canada Day, 21 years ago. From the moment this beautiful Asian lady – gracefully draped in purple and black – appears on stage, miracles begin to unfurl. Vivid colored Japanese fans appear softly at her fingertips. Shining bells materialize from the darkness, sharp ringing themselves into existence. This female magician welcomes the audience into a fascinating and mysterious world where shadows are woven into dignified reality. Keiko Muto has created an artistic space filled with mystery, which can hardly be classified as just another magic show. When she is on stage, nobody can take their eyes away from her enchanting world. "The sound" is one of very important factor of her performance. She produces many types of bells and each of them play the sounds. She has made her cosutume by herself and renewed it many times. She had black pantsuit in the first version of the act. The stories about the table which she uses in her act. She made it by herself and rebuild it twice.